In less than two weeks, I will be attending Money20/20 which is the largest Payments, FinTech and Financial Services conference in the world. 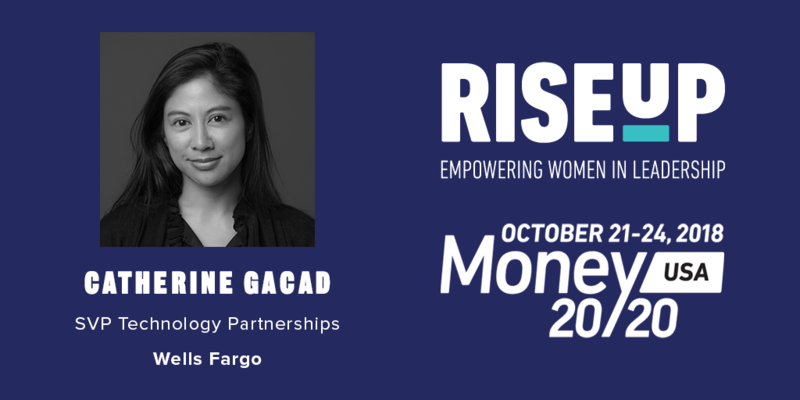 I landed a coveted spot in Money20/20’s inaugural Rise Up program, providing networking and events for women leaders. With over 500 applications, the acceptance rate was less than 6%. The last time I was this excited was when I won the Hamilton lottery! I take this honor seriously and excited to share with you what I learn. But more than anything, I’m looking forward to collaborating with this group of women leaders to promote gender parity and inclusiveness in FinTech and Financial Services. Sir Richard Branson is giving one of the conference keynotes and I scored front row VIP seats. I swear, I need to run out and buy lottery tickets. And my idol Sallie Krawcheck is part of the Rise Up programming. SWOON! Dr. Christine Blasey Ford is continuing to get death threats and is unable to return to her home. You can support her and her family financially through this campaign. Watch Lady Gaga’s powerful support of Dr. Ford and sexual assault survivors. Lady Gaga, looking forward to watching you in A Star is Born. You are an inspiration! Are you prepared to vote in the Midterms? Election Day is coming up: November 6. Make sure you’re registered here. Anything I’m missing? Please share! So very cool. I am happy for you. Thanks for hosting and I hope that it goes well for you.